Guest Room: Bed Frame: Ikea (repainted white). Bed Side Cabinets: Vintage. Rug: Urban Outfitters Home. Lamps: Urban Outfitters Home. Quilt: Urban Outfitters Home. 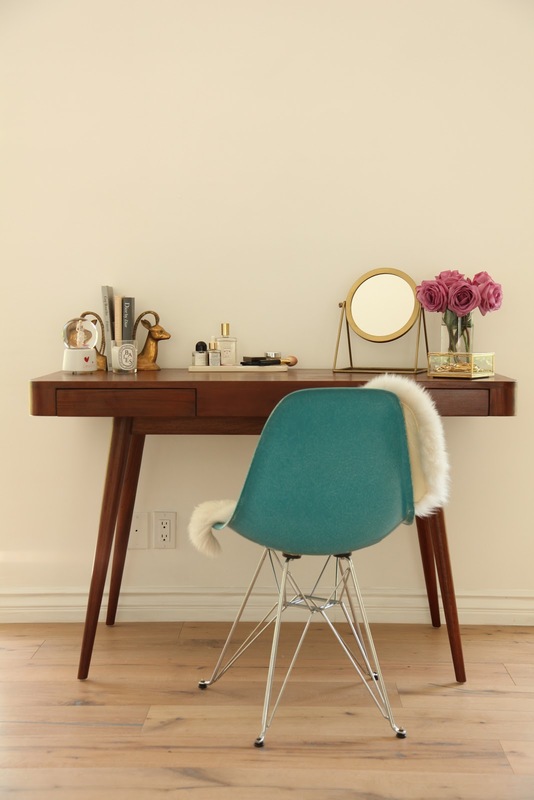 Desk (Used as Dressing Table): Urban Outfitters Home. 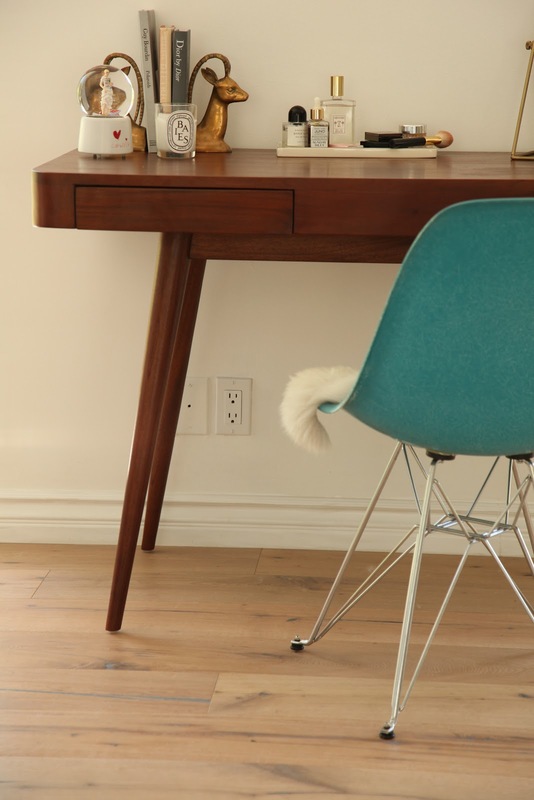 Chair: Modernica. Sheepskin Throw: Ikea. Mirror: Urban Outfitters Home. Jewlery Box: West Elm. We just moved house (most stressful thing ever!). We used Urban Outfitters Home to decorate our new guest room and also nabbed a new dressing table for me whilst we were at it. I was verrrrrry impressed by the textiles on offer by Urban Oufitters- they immediately gave the guest room a boho chic, luxe vibe. Especially that quilt.... I may have to steal it for the master bedroom. I used the 'Moda' desk as a dressing table. I like a lot of space when I'm doing my makeup and this desk definitely has that. I fell in love with the mid century shape.